Darley is a traditional links course, which offers a true challenge to even the most accomplished golfer. Featuring tight fairways and plenty of hazards, it is widely recognised as one of the countries toughest golfing challenges. At a little over 6300yds, Darley is not as long as Lochgreen but if you score well here, you have played very well indeed. Troon Links, is a collection of three excellent courses. Darley, Lochgreen and Fullarton which play alongside Royal Troon, Portland and Barassie to form a group of six courses that encircles the famous golfing town of Troon. 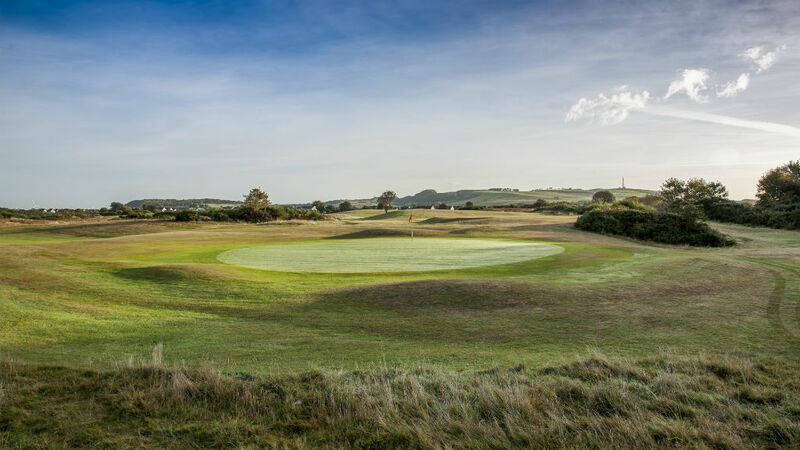 Lochgreen is predominately a links course, with one stretch - known as the 'Dovecot Section' - providing holes of a more parkland character, at 6785yds and par 74, Lochgreen is the longest of the three courses. Fullarton is the perfect course for both beginners to the game or for the more accomplished golfer looking to hone their short game. An inland links course, with undulating fairways, small greens and strategically placed bunkers provides a great golfing experience for all. At just under 5,000 yards, eight Par 3 holes and one hole over 400yds, rounds here will take less than three hours to complete. Making it the perfect choice if time is tight or you’re warming up to play Darley or Lochgreen.